Need a fast and easy Barbecue Grilled Chicken Marinade that uses ingredients that you have in your cupboard? Look no further, this is the chicken marinade for you! It uses the convenience of bottled BBQ sauce that is then amped up with simple ingredients that you already have at home to make one delicious dinner! This is for those of you that love barbecue sauce chicken but are looking to spice it up! This was thrown together because I didn’t quite have enough BBQ sauce to cover 4 chicken breasts and the subsequent basting while barbecuing. I emptied my bottle of basic chicken & ribs BBQ sauce and proceeded to make a marinade with the scant amount that I had left. This is actually far nicer than using just a BBQ sauce and to be honest, BBQ sauce has been my least favourite thing to use on meat when grilling it. Until now, that is. By turning some ready-made sauce into a marinade with some other ingredients it’s literally the best of both worlds. You thin out what I consider to be “too much” flavour and thickness with bottled BBQ sauces and instead reap the benefits of the flavour while turning it into something you can marinate your chicken in for the day. Another tip? Marinate the chicken breast SKIN SIDE DOWN in the marinade like shown in the photo below to really get the flavour into the meat and skin. Skinless or skin on chicken breast? Boneless or bone in chicken breasts? Ok, while I can never ever get the skin to really stay on and not stick, I always try to use bone-in, skin on chicken breasts. The skin is going to give you some much needed added fat to your chicken while you are grilling it. Once the skin starts to shrink smaller, you then baste the top of the chicken again to keep it moist and seal in the juices. Why bone in chicken breast? That layer of gristle and bone helps to keep the chicken juicy, my friends. Think of it : the skin helps seal it at the top, followed by the sauce and the bones help to seal in the juices from the bottom. I get CRAZY tender, juicy chicken breasts when we use bone-in chicken breasts. When you grill, bone-in is the best. Try it and you’ll see – your love of grilled chicken is going to jump a level! Please trust me and try the bone-in and skin on chicken. You are going to consider boneless. skinless chicken breast to be dry shoe leather compared to this. How long can I marinate the chicken? According to the USDA, chicken can be marinated for up to 2 days safely. 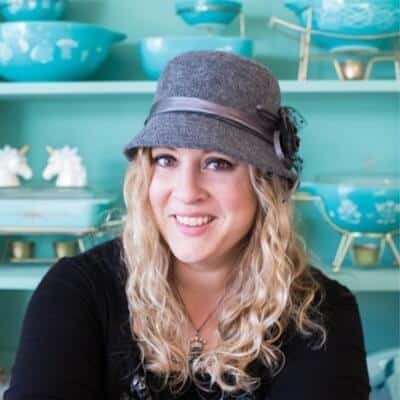 Can I use skinless, boneless chicken breasts? Yes, you can and it will still be delicious. I know that there are some of you that love skinless and boneless chicken better, so don’t let me stop you! 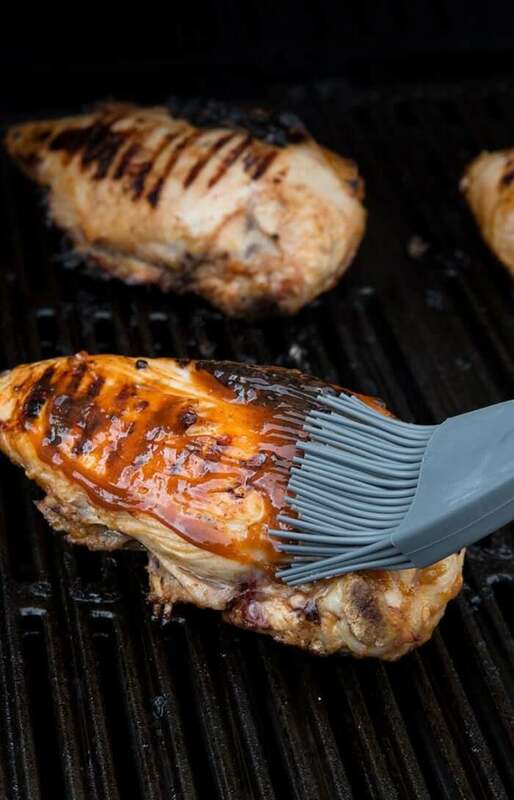 Usually cooking chicken on the top rack of your grill to prevent flare-ups is a good idea, but we have a double grate system, so we turn on the OPPOSITE SIDE of the BBQ for heat. This helps to prevent burning! Happy grilling! If you have any questions or have tried this, let me know in the comments below. 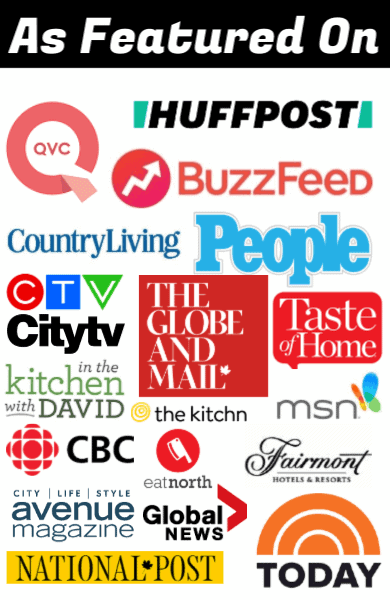 Pin this to Your BBQ or Supper Recipes Boards and Remember to FOLLOW ME ON PINTEREST! 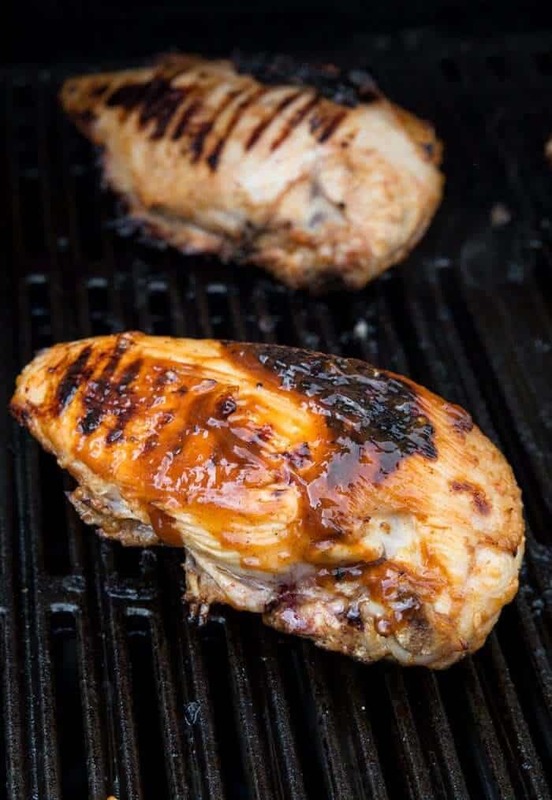 This Barbecue Grilled Chicken Marinade is fast, easy and delicious! It uses bottled BBQ sauce to start out the marinade, then you add in extra spices & herbs for the best chicken marinade ever! Combine all of the marinade ingredients until smooth and mixed thoroughly. 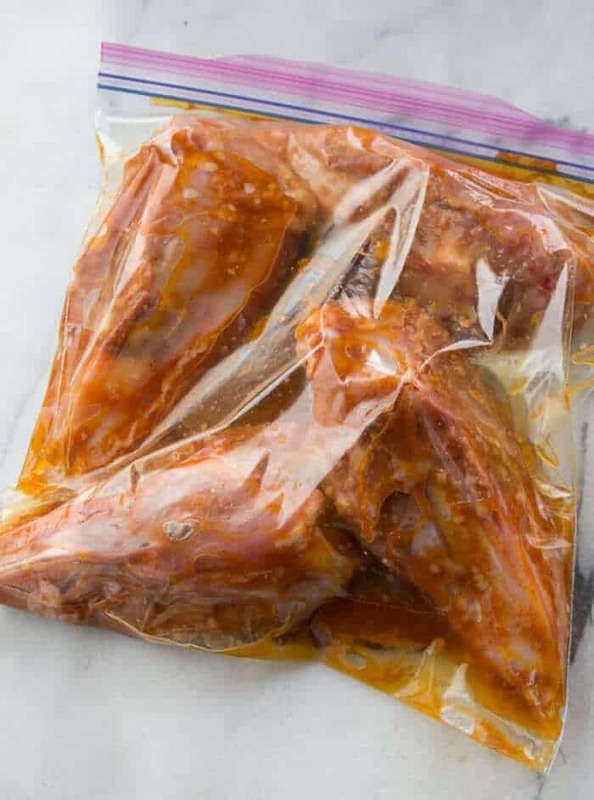 Place the chicken breasts into a large sealing plastic bag. Pour 2/3 of the marinade into the bag, coating the chicken. Place the remaining marinade into a container to save for basting later while cooking. Place in the fridge SKIN SIDE DOWN and let marinate anywhere from 2-24 hours. When ready to cook, pre-heat your grill to medium-high heat. ( 375-425 °F) , oiling the grill if necessary. Remove the chicken from the bag, placing on the grill bone side down - skin facing up. Discard the bag and marinade and retrieve the fresh, reserved marinade. 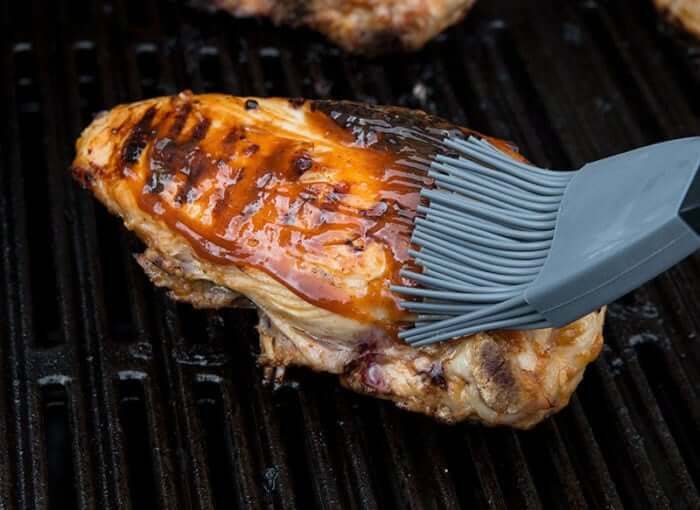 Brush on the chicken every 5-8 minutes, basting well. Cook until the chicken reaches 165 °F. Remove and serve. You can also use skinless chicken breasts, just follow the same instructions. I used our favorite sauce- what a great way to spice it up (haha get it?). Thanks for the great recipe as usual. This will be our main chicken marinade for the summer!